I’ve previously featured Prestige Flowers on Instagram and they recently sent* me the Grandeur bouquet to review. 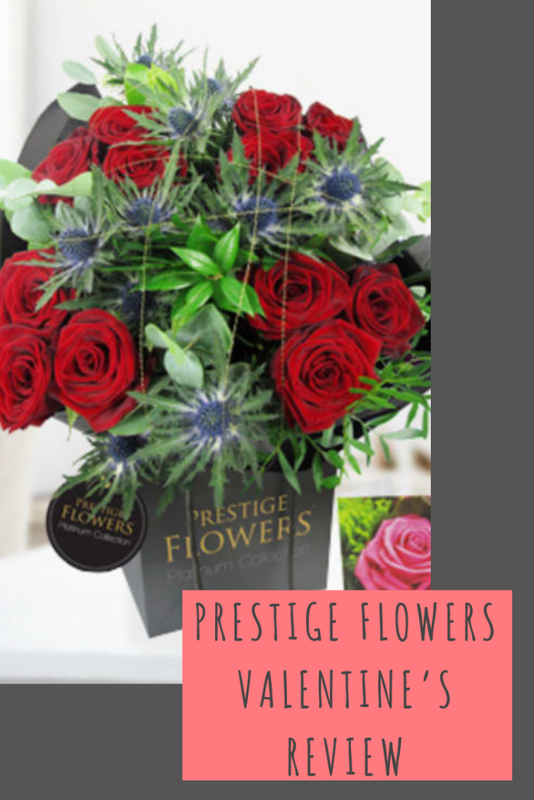 As well as flowers, Prestige Flowers also sell plants, luxury bears, hampers and baskets, baby gifts, bath and pamper products, food including an array of cheese, fruit, sweets and chocolates. 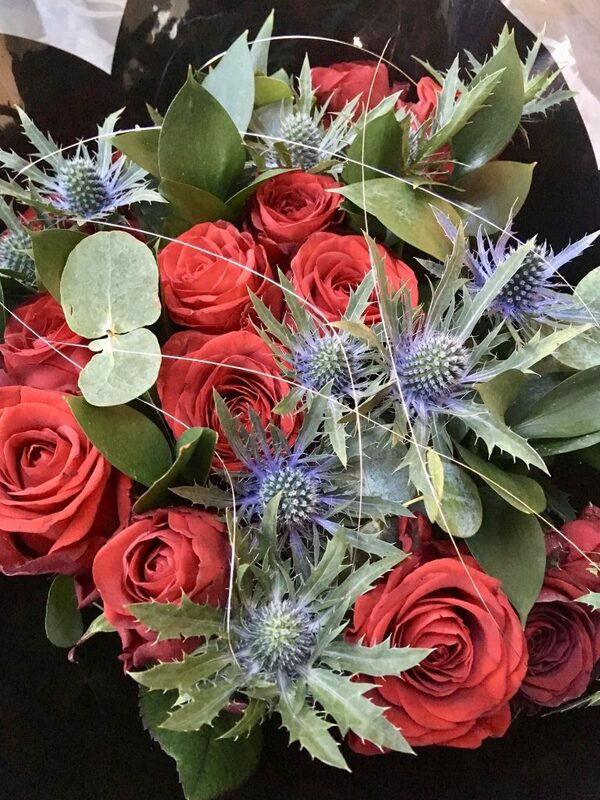 Anyway, back to the bouquet…The Grandeur is part of their luxurious Valentine’s range. With the most respectable Rhodos red roses complimented with their finest foliage encased with golden orbits, this makes the most exquisite bouquet. The Grandeur bouquet comes custom displayed with our custom Prestige Luxury Collection bag. 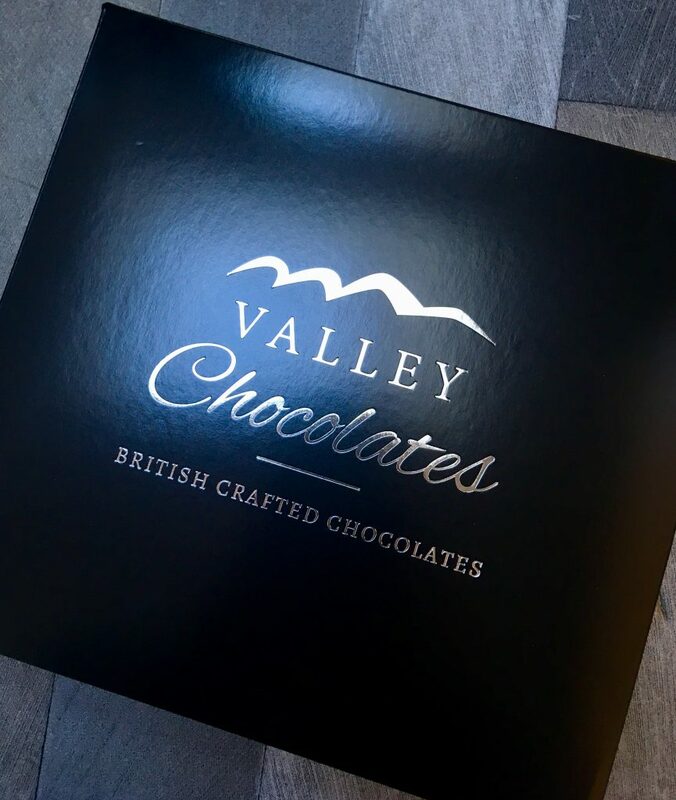 It also arrives with premium flower feed and at the moment it also includes free handmade British truffles, perfect for treating a loved one or yourself! 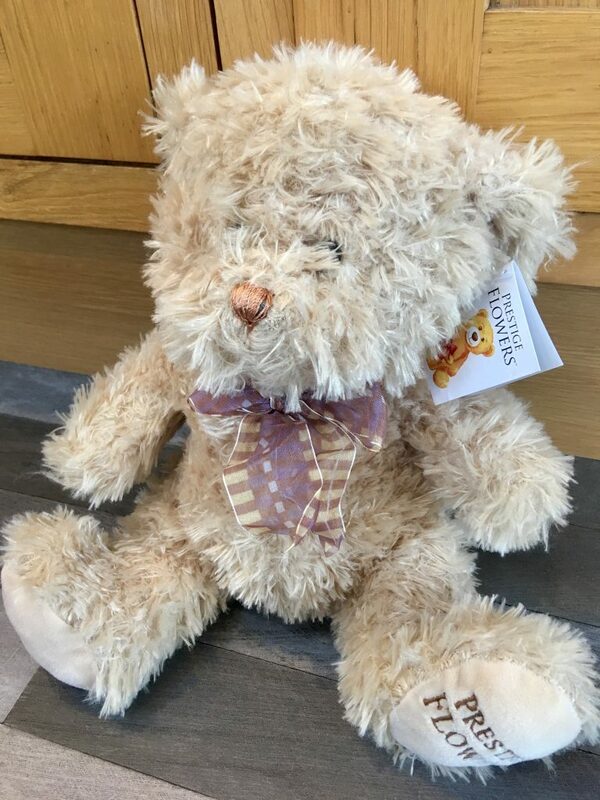 You can also add other products to it to make it even more special which include various wines, gin and tonic, champagne, a vase, teddy bear, chocolates, balloons, pop up card or personalised note. 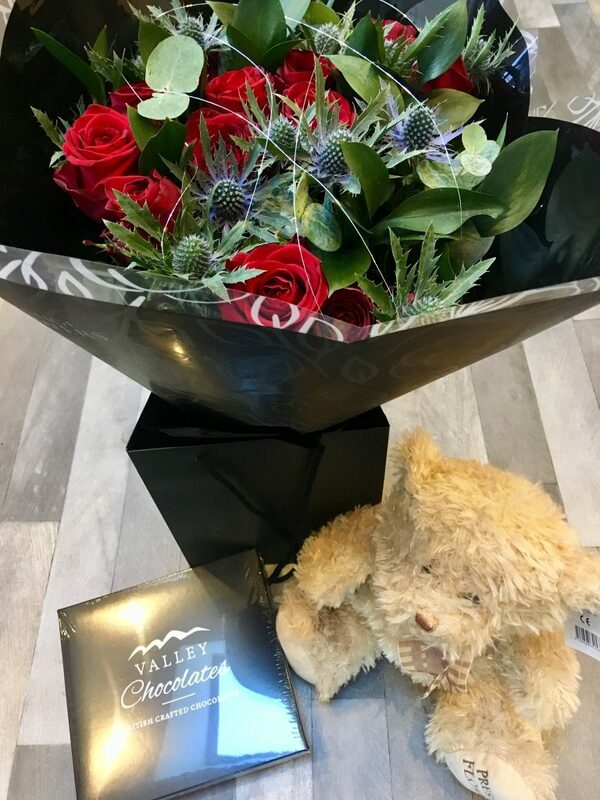 Prestige Flowers really treated me and sent me an adorable teddy bear and luxury chocolates! Lucas has commandeered the teddy but we all shared the chocolates and they were delicious! What gorgeous flowers. Anyone would be lucky to receive these! Those flowers look beautiful, I will definitely keep these in mind next time I need to order flowers! 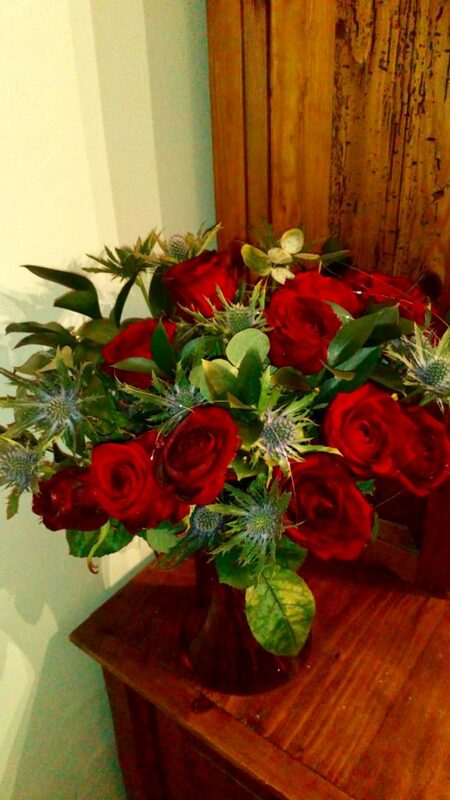 I love roses, especially red roses for Valentines day, nothing says it better – and the chocolate is so thoughtful! They are so beautiful! People would be lucky to receive them! What absolutely gorgeous flowers and I love that bear! This bouquet would make a lovely gift!